Have you considered a switch but been put off by downtime and staff training? Switching clinical management systems becomes far easier when you choose a system that is intuitive for staff. AutumnCare has redesigned its user interface for enhanced simplicity. The ease of use means less time spent training before staff are up and running on the new system. Master the basics in a matter of minutes with a click and go interface. This is ideal for carers wanting to take records, agency staff only using the system once, as well as staff for whom English is a second language. 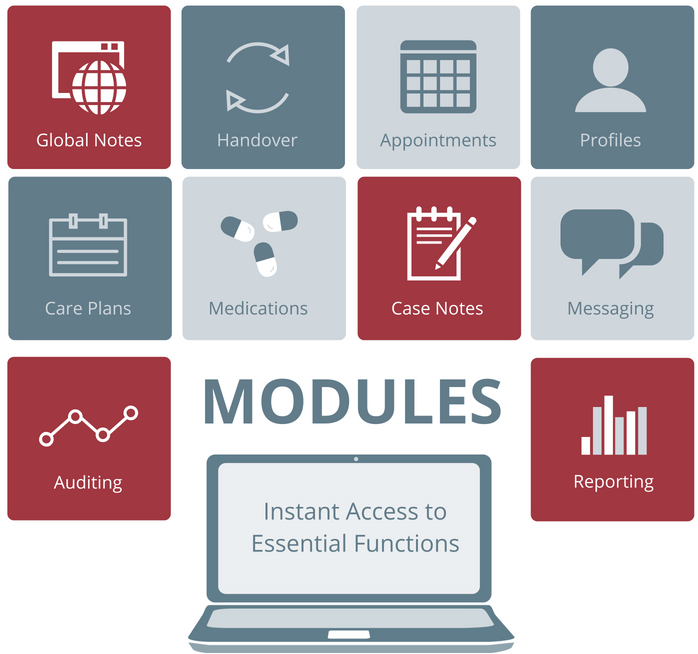 Ease of use does not mean comprising on functionality – AutumnCare is user-friendly yet clinically comprehensive! A splash screen displays all of a carers common tasks using easily identifiable icons. Hit the icon to be taken instantly to the task you wish to begin. Return to the splash screen at any time to perform other tasks. Switch to a simple user interface. Switch to a system your staff can feel confident in.